My Name is KHAN - First Look! 0 comments Published Sunday, October 18, 2009 by Writer. Does it get bigger than this? Bollywood’s most adored on-screen couple, Shahrukh and Kajol will return to the big screen for the first time since K3G. Bollywood fans across the globe have been calling for this jodi to be reunited for almost a decade and the good news is that the time is almost here. Notice the Fox logo in the bottom right? Well, with MNIK’s international appeal, Fox have won the rights for the movie and it looks like the movie will be getting a global Hollywood scale release. 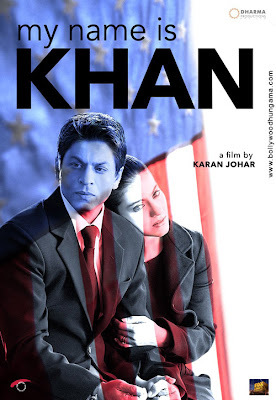 Finally, the rumour going around is that the movie rights for MNIK have been sold to Fox for a record breaking 100 Crore! 0 comments Published Saturday, August 15, 2009 by Writer. You know, it takes something to pick up the pen again. It requires more than a mental trigger to set free those thoughts and communicate them to the world again. Whatever it takes, the most important matter right now is that the break time has elapsed and the doors of expression are wide open again. I am back. I stopped writing for a while because of various reasons. Study commitments did play a significant part but I also felt that the quality of Indian cinema was deteriorating and had very little left to offer. My heart was no longer in it, I felt lazy at the thought of writing and I thought kay Bollywood ki watt lag gayee hai. After every decent movie, the thought did cross my mind a number of times that I should write a review again, but none of these “good” movies carried that final K.O. blow. Something was always missing for me. There have been some good movies but very little movies that stood out from the rest. I guess I have become picky with time, maybe because I have developed an eye for quality cinema. This is a good and a bad trait. Good because I recognise the good and bad because I can’t completely enjoy as many movies any more. Now let me get onto the movie that inspired me to write again. Kaminey. Shahid Kapoor and Priyanka Chopra’s Kaminey - It’s been hours since I watched the film and I still can’t seem to fault any aspect of it. I enjoyed the movie so much that I couldn’t resist but to openly show my appreciation. If the story and acting are anything to go by then Kaminey will conquer the awards at the end of the year. But Kaminey doesn’t stop there. The movie aced from a number of angles. The photography, cinematography, music and most importantly direction was perfect. 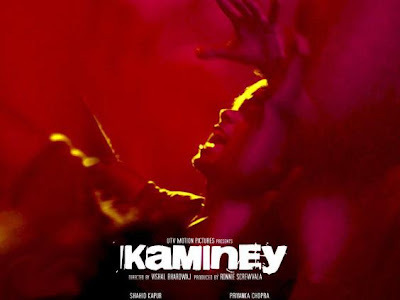 It is hard to put Kaminey under a specific genre, because it was made up of various themes. The film included a love story, action, underworld crime and even some dark comedy. However, the most striking measure of quality for me was the way the numerous parallel stories blended into one towards the climax. As a viewer I didn’t feel a split in the stories for a second. They blended together ever so smoothly. All along it felt like all the stories were one. And for this, the direction of Vishal Bhardwaj must be admired. He is a director to watch out for in the future. The length of the movie was just right and the music was limited to the few tracks, which was good because had there been too many songs, the storyline would have lost its rhythm. The concept of the lisp and the stuttering was something new as well and it provided some moments of excellent comedy (with no offensive intended to anyone who has the disability in real life). On this note, it would be right to say that Kaminey is definitely one of the most original movies to come out of bollywood in recent years. It is packed with attitiude from start to finish and has been executed in style. The theme music (Dhan Te Nan) will be ringing in your ears hours after the movie. Aur iffi liye, for me Kaminey fcoref a big hit. 0 comments Published Monday, November 12, 2007 by Writer. For all those movie critics going around criticising Saawariya, I would like to ask them all what were their expectations going into the movie? If they were of Saawariya being another Devdas or another HDDCS, then they were really mistaken. For those who had done their research and shared the slightest similarity with Sanjay Leela Bhansali's vision, then surely you would have expected the treat that was to appear on screen. Saawariya is no epic, it is no melodramatic love saga, it is no action thriller, it is no Black, no Devdas, it is not a typical Bollywood love story where girl meets boy, both fall in love and it's a happy ever ending. Saawariya is a sweet fairy tale. It is a story of a dreamer. A story of 4 nights, told over 2.5 hours. The entire movie is a set, the movie is a complete portrayal of perfection, it is artistic in every little way, and the amount of detail gone into the non-acting portions of the movie is incredible. There is symmetry in the direction and the choreography - it is a visual treat for all those who have an eye for art. Saawariya is love and innocence personified. Monty Sharma's music is eloquent and beautiful; it fits the theme of the movie perfectly. For a debutant music director, Sanjay Leela Bhansali has been gifted with a golden offering. Now to the two debutants: Ranbir Kapoor and Sonam Kapoor. Who stole the limelight? For me, it was Ranbir Kapoor who stood out as the winner. He seemed to fit the role of the majnoo lover boy, though I do feel he overacted in a number of sequences, for example the boxing-dukhi scene and the phone calls he makes to Begum Para, all excited about his new found love. But being his debut movie I think he may have just tried a little too hard, just like Hrithik did in Kaho Naa Pyaar Hai. Ranbir will improve and he will rise. 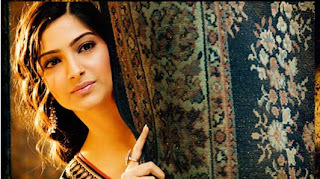 Sonam Kapoor plays the shy Sakina - Ranbir's love interest. Comparing her to Deepika in Om Shanti Om, Sonam would be wiped away clean, but in her own right, she didn't have much to do in the movie - apart from laugh, shy and cry. Sonam will face the critics, but I feel that with experience she will improve. She certainly has talent; she is pretty and has the potential to become a big star. Rani Mukherjee was tremendous. Not much can be said about Salman, he wasn't in there for long, but Rani's presence was definitely felt. She delivered an exceptional performance, especially in the chabeela song and in the scene in which Ranbir goes to her house. Sanjay Leela Bhansali - there is no director who could have attempted to take on the risk of launching two of the biggest debutants in the Bollywood industry in such artistic style. Saawariya was a project close to SLB's heart, which he has done complete justice to. He has previously told the story of eternal love (Devdas), silent love (Black/Khamoshi), and now the story of innocent love (Saawariya). 0 comments Published Saturday, October 06, 2007 by Writer. It's that festive time of the year again, Ramadhan comes to a close, Eid and Diwali strike and Bollywood sparks! Like every year, this is deemed as the hottest season in the Bollywood calendar, and in the past all the 'biggies' have released in this time - be it K3G, Kaante, Don or Jaanemann. This year we have the two biggest releases of the year: Saawariya and Om Shanti Om. 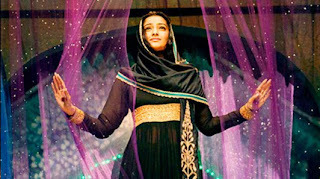 Saawariya is set for a Diwali release, with Om Shanti Om following up a few weeks later. However, the Eid weekend, which is next week sees the release of the much awaited Laaga Chunari Mein Daag and Bhool Bhulaiya! Quite contrasting movies, so it will be interesting what the audience opt for. My gut instinct says that the masses will go for Laaga Chunari Mein Daag, purely because it has a greater family appeal, with it having the likes of Rani, Abhishek, Jaya Bachchan in it. 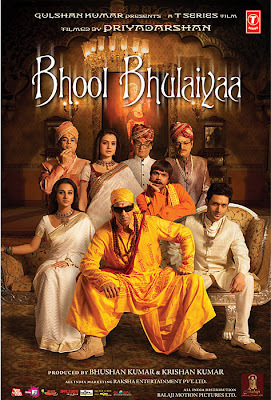 However, I think Bhool Bhulaiya will spark magic with the youth. The music of Bhool Bhulaiya, especially the groovy track "hare raam, hare krishna" has been a super hit with the Indian audience. Let's see if the movie delivers the same result. All eyes on the festive season! The Rise of Pakistani Rock Music!